We specialize in working with designers! We have over 30 years experience working with the trade and we understand your time is valuable. Every step of our process is designed to save you time and time is money! We have several different ways of working with you to ensure you can be profitable at selling drapery, shades, bedding, toss cushions and blinds. Our team is always happy to help with sourcing and providing memo samples to bring to your presentations with your clients. We go above and beyond when it comes to helping you put together your drapery orders. All of our quotes are sent out within 24 hours of receipt (yes you read that right, we have a zippy fast response time!) and we are happy to help you with those tricky windows too! Email us today to set up a time to come and tour our facility and we will give you our undivided attention in helping you get started with our one-stop-shop model for the trade! We will send you the forms to set up your account and once approved (you must provide certificate of credentials along with references) you can access our wholesale pricing right away. We pride ourselves on a seamless service (see what I did there?!) that allows you peace of mind and successful outcomes! Email us today and we will send you a distance trade package to fill out. Once approved you will be able to access our trade discount on online products by sending your order through email and paying via PayPal money request – so simple and we are happy to do all of the quoting and calculating if you need to save time too! We offer totally custom service at a distance too! Reach out today and we look forward to getting to know how our business can understand yours to meet your drapery needs from afar! Why purchase your fabric and hardware with us? We carry all the major brands of fabric and hardware (JF Fabrics, Maxwell, Fabricut, Kravet, Alendel, Avant Garde, Stout, Robert Allen, Trend and more). We offer all of our supplier fabrics and hardwares at wholesale cost to our approved trade accounts. We then create just 1 simple invoice for everything regarding your window treatments. Think of the time saved in administering all of those fabric and hardware accounts?! We offer great discounts on hard coverings too and you don’t have to know all the nitty gritty details that go into ordering bespoke window covering products and you can focus on the design details, let us handle the rest. We want the window covering portion of your designs to be easy and stress free! If a product arrives to us flawed or incorrect in some way, you will rarely hear about it as we take care of it from start to finish! Time is money and we know our designer clients are busy, we’ve got you covered! On installation day you want everything to go smoothly! So do we! 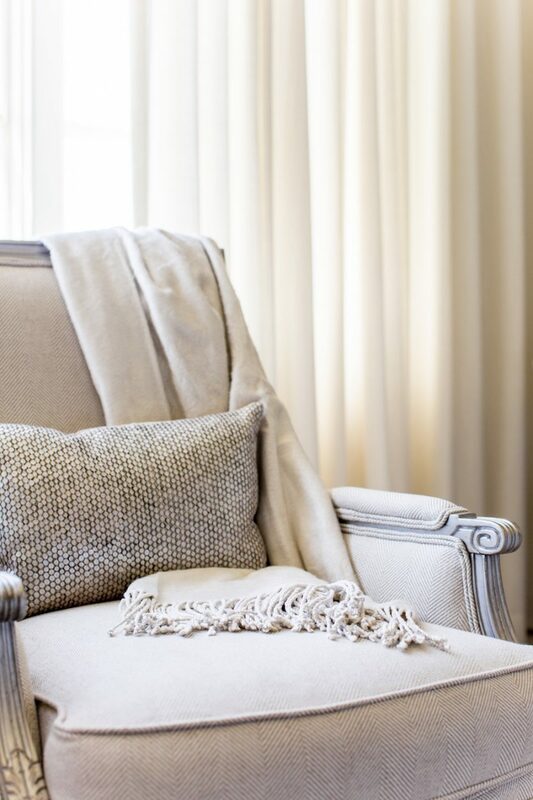 Our mission is to provide you with perfect custom drapery, blinds, romans, bedding and upholstery every time. Our perfect guarantee ensures we get every step of the process right from check measure to manufacturing and then finally install day!